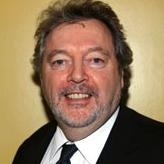 Jeremy Beadle was born in Hackney, east London, on 12th April 1948. The offspring of an extra-marital affair between his mother and a newspaper journalist father he never knew. He had Poland's syndrome at birth, which left him with a withered right hand, with the fingers joined to each other - and a future involving several operations. His background helped produce a brash, assertive personality, though with a very large measure of benevolence. Having failed his 11-plus, Beadle went to Orpington secondary modern school, easing the boredom by joining CND marches, working for Oxfam and playing a pantomime dame for a youth club. In his report, a teacher declared that he had gifts, but not the self-discipline to use them. Eventually, he was expelled. He was then sacked from a series of menial jobs, including one as messenger for a magazine group whose leisure trips he boosted by once running into the sea with all his clothes on. Practical jokes on colleagues became a speciality, until workmates got their revenge by stealing his clothes and leaving him naked in front of 400 women arriving for their shift. After pursuing a girlfriend to Germany, he got a job as a lavatory cleaner. He returned home to produce charity gigs in Orpington civic hall, then went to Brighton, where he set himself up as a street photographer before starting a listings magazine, What's on in Brighton, and writing its TV column. This led to him joining Time Out, and attempting unsuccessfully to set up a northern office. He began supplying odd facts and questions to radio and television game shows such as Celebrity Squares. As a radio presenter he began on BBC Radio 3 and later on BBC Radio 4 becoming chairman of Animal, Vegetable, Mineral? On Capital Radio he presented Beadle's Odditarium, a music show concentrating on strange, bizarre and rare recordings all taken from the archives of producer Phil Swern. He also became renowned for his off-air pranks and intellectually challenging quizzes. He wrote, devised and presented many television pilots for the highly successful game show company Action Time. He wrote and became accidental presenter of The Deceivers a BBC2 television series recounting the history of swindlers and hoaxers. The success of this led to using the same format for Eureka which told the background behind everyday inventions. He then went on to become nationally famous as one of the presenters of LWT's Game for a Laugh (along with Matthew Kelly, Henry Kelly and Sarah Kennedy),a pivotal show in the history of British television since it was the first time ITV 'won' the Saturday night ratings battle. This was followed by a hidden-camera style practical joke show, Beadle's About (1987-1996) which became the world's longest continuously-running hidden camera show. From 1990 he wrote and presented You've Been Framed!, a family show featuring humorous clips from viewers' home video recordings. In total Beadle hit the UK Number One ratings slot four times. As well as his considerable television output as writer, presenter and producer he appeared in numerous pantomimes and acted as ring master for many circuses notably for Gerry Cottle. He also worked as a consultant for many television companies, wrote books and presented quizzes both commercially and for charity. To his credit, Beadle never forgot his early difficulties, and put some of the memories to good use. He became a patron of Reach, the charity for children with missing fingers, hands and arms. He would tell sufferers that it was not the size of their hands that mattered "but the size of your heart"
In recent years he battled with poor health after being diagnosed with a mild form of leukaemia in 2005. He also had a cancerous kidney removed. However, he attracted funds for Children with Leukaemia throughout his life and is thought to have raised more than �100 million for all charities. He was a supporter of the Foundation for Children with Leukaemia, part of the reason he was awarded an MBE in 2001. He is survived by his wife Sue, his daughters Cassie and Bonnie, and stepchildren Leo and Claire.